Boulder, Colorado. 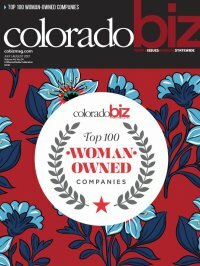 For the 8th year in a row, Housing Helpers of Colorado has earned a place on the list of top 100 Women Owned Businesses in Boulder and Broomfield Counties by Biz West. This year Housing Helpers ranks #3 on the list with revenue of $6.25 million and a team of 20 employees at the company’s office in Boulder Colorado. This prodigious recognition is credited to the perseverance and leadership of owner Stephanie Iannone and her hard-working team of relocation and real estate professionals. Housing Helpers services include Real Estate Brokerage, Corporate Housing, Rental Locating, and, new in 2017, a Property Management division. Housing Helpers was established in 1987, and over the last 31 years, the company has added services organically to meet the needs of its customers. With the addition of a new Property Management division, Housing Helpers continues to provide synergy for its clients to meet all of their property needs. As the positive and successful reputation of Housing Helpers continues to rise, the company has increased to 20 people and expects to add more new hires in the coming months. For more information, visit www.housinghelperscolorado.com or call (303) 545-6000. This entry was posted in Housing Helpers News and tagged Boulder County, Broomfield, Woman Owned Business on July 16, 2018 by John Iannone.